It is said that travel is one of the most educational pastimes one can indulge in. Going to new places, discovering foreign cultures, meeting the locals and trying their food are some of the rewards of going abroad. However, travel also has its downsides. Issues such as security, flight delays, and the language barrier can be minimized with careful preparation. The same is true when it comes to our health and well-being. We can take precautions while abroad, but there are some issues that are constant. When we go to the beach or trek up a mountain, exposure to sea, sun and wind can cause sunburn and windburn, which are damaging to the skin. In fact, the mere act of riding an airplane can already pose problems to some. The controlled environment inside can actually make dry skin drier and oily skin oilier. Likewise, being confined inside a plane exposes you to germs that may be carried by fellow passengers. All these issues can be addressed by a suitable nutritional supplement that not only boosts your sense of well-being, but also does wonders in keeping your skin radiant and youthful looking, as well as providing needed antioxidants to the body. 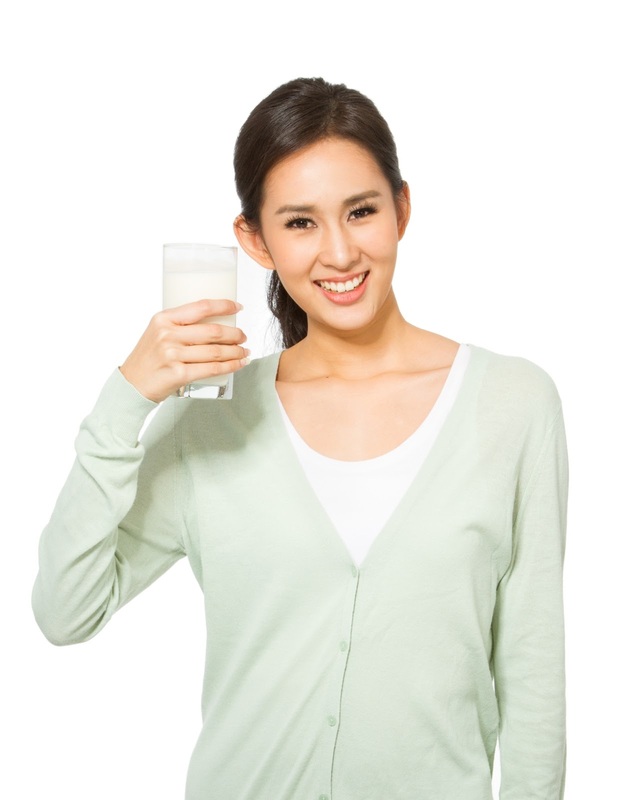 Women around the world have discovered the benefits of Premium HyC150, a collagen drink that has been described as a modern-day fountain of youth. Manufactured by Fine Japan Co. Ltd., it is a woman’s secret weapon to staying healthy, and possessing of a vibrant and radiant lasting beauty. It helps women stay beautiful inside and out, while providing them with strength and vitality to meet the challenges of their trip abroad. By making them feel good about themselves, they can face headon whatever challenges the day might bring them. Premium HyC150 comes in ready-to-mix sachets that easily fit into your purse or handbag, making it is easy to bring along on your trip. Even if you are far away from home, you can be sure of its lasting benefits with your daily dose in the morning. You benefits from the results of its continued use, including the disappearance of wrinkles, fairer and brighter skin, improved vision, and better muscle and bone strength. 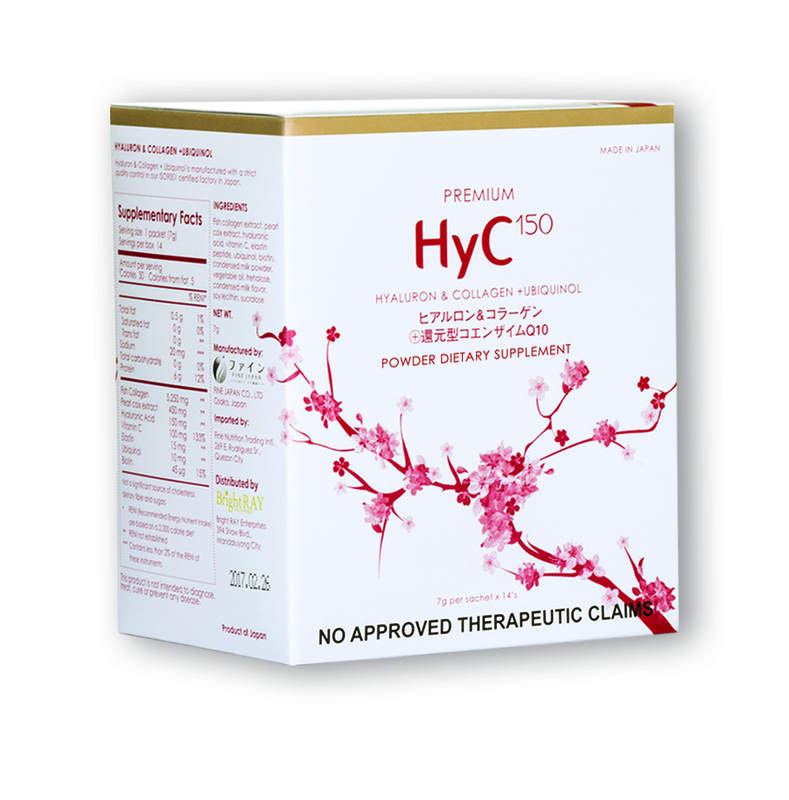 Premium HyC150 combines three youth-inducing elements for a more potent supplement drink: collagen, hyaluronic acid, and ubiquinol. These elements are also aided by other active ingredients, like vitamin C, biotin, elastin and pearl coix. Collagen is one of the most abundant groups of proteins in the human body and is the major component of connective tissue. It provides structural support throughout the body where it is found in the skin, muscle, ligaments, tendons, cartilage and bones. It is important to remember that 70 percent of the skin is composed of collagen. Hyaluronic acid (HA) is nature’s moisturizer, a gel-like water-holding molecule that acts as a space filler and cushioning agent in the body. Approximately 50 percent of HA in our body resides in skin tissues, since it nourishes and hydrates the skin to make it look young. Aside from making the skin look younger, HA lubricates the joints and eye tissues helping prevent dry eyes. It helps regenerate healthy gums. It also supports, nourishes, and hydrates the deep layers of the scalp for healthy, lustrous hair. It promotes better nutrient absorption and helps regulate protein to promote wound healing. Ubiquinol is a substance naturally produced by the body to protect it from environmental toxins that enter it, damage its cells, and injure its systems. It also slows down any weakening of vessel walls, nerve tissue, and organ linings brought about by physical harm, pollution, poor diet, and the normal wear and tear that comes with age. The combination of these three active ingredients in Premium HyC150 assures women of effectively enjoying its benefits on a daily basis. Based on clinical studies done in Japan, North America, and Europe, about 93 percent of users reported improved hair, nails, and skin with continued use. Although results vary per individual, it only takes one to two weeks to see the positive changes. For more information, visit its website at www.HyC150.com; like its Facebook page @www.facebook.com/HyC150; follow on Twitter @HyC150 or Instagram @HyC150; or call (02) 5467297, 09177750779.